Find hotels close to Liberty Hall Museum View Map. 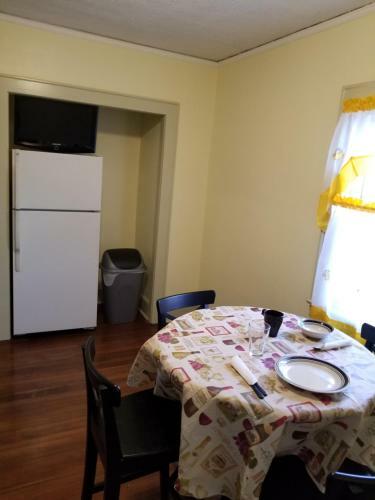 Need A Bed is a 1-star property set in Elizabeth. The property is located 2.9 km from Jersey Gardens Mall Shopping Center. 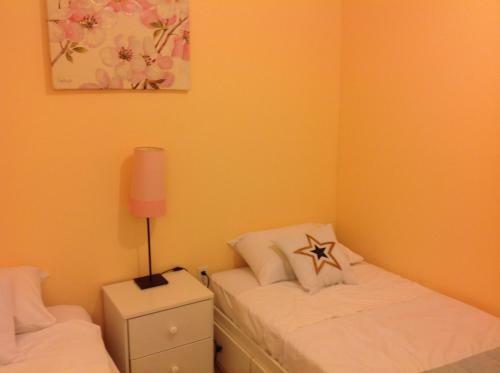 Free WiFi is available throughout the property and on-site parking is provided. Non Smoking Rooms. 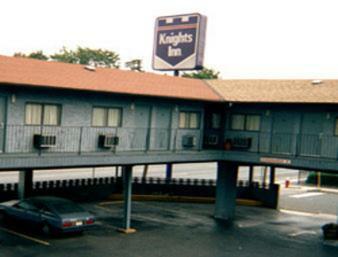 Free parking as well as a budget-conscious stay close to the airport are among the reasons our guests check out Knights Inn Newark Airport Elizabeth conveniently located in close proximity to Manhattan. Currently as low as $79.49/night! A free airport shuttle free Wi-Fi and affordable rates make every stay a bargain at the Airport Hotel Inn & Suites. Free Internet, Pets Allowed, Non Smoking Rooms. Currently as low as $93.99/night! 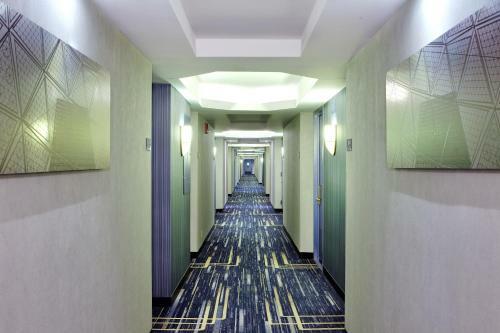 A central location free 24-hour airport shuttle and Wi-Fi are big pluses for our guests at Crowne Plaza Newark Airport conveniently situated 20 minutes from Manhattan. Free Internet, Indoor Pool, Restaurant, Non Smoking Rooms. Complimentary breakfast an airport shuttle and Wi-Fi are among the amenities our guests will find at Hampton Inn Newark-Airport conveniently located 15 miles from Manhattan. Free Internet, Non Smoking Rooms. Currently as low as $93.80/night! 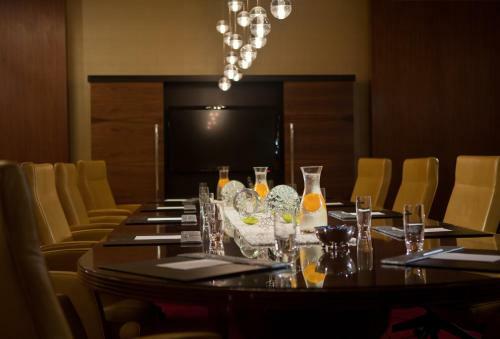 A 24-hour business center an indoor pool and a complimentary 24-hour airport shuttle are among the amenities our guests enjoy at the Hilton Newark Airport conveniently located 15 miles from Manhattan. Swimming Pool, Indoor Pool, Non Smoking Rooms. A free airport shuttle and 24-hour fitness center makes the non-smoking Renaissance Newark Airport Hotel A Marriott Lifestyle Hotel a convenient choice for our guests especially since its location is 15 miles from Manhattan. Free Internet, Swimming Pool, Indoor Pool, Free Breakfast, Restaurant, Non Smoking Rooms. 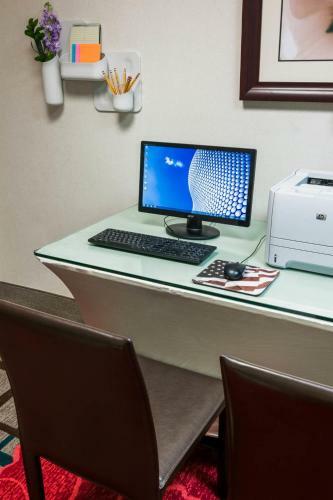 High-speed internet access plus an outdoor pool and gym are among the amenities our guests find at the conveniently located Wyndham Garden Hotel - Newark Airport. Free Internet, Swimming Pool,Outdoor Pool, Free Breakfast, Restaurant, Non Smoking Rooms. 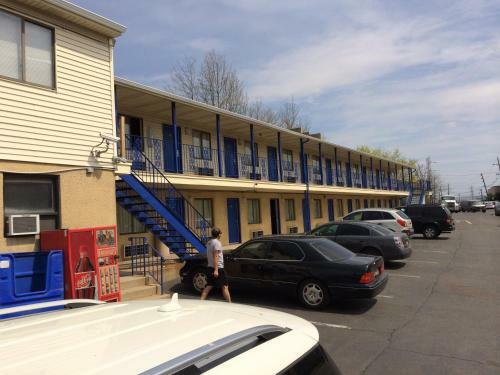 Set 4.3 km from Jersey Gardens Mall Shopping Center Budget Inn Elizabeth provides accommodation with free WiFi in Elizabeth.At the motel the rooms are equipped with a desk a flat-screen TV and a private bathroom. Guest rooms feature a wardrobe. Free Internet. Thanks to a complimentary airport shuttle a flight information desk in the lobby and a fully equipped fitness room you'll feel pampered at the Holiday Inn Newark Airport. After a facelift in 2011 the eight-story Holiday Inn sparkles. Free Internet, Restaurant, Non Smoking Rooms. Currently as low as $103.70/night! Complimentary continental breakfast and a free shuttle to the airport and to shopping are money-savers at the non-smoking Best Western Plus Newark Airport West. 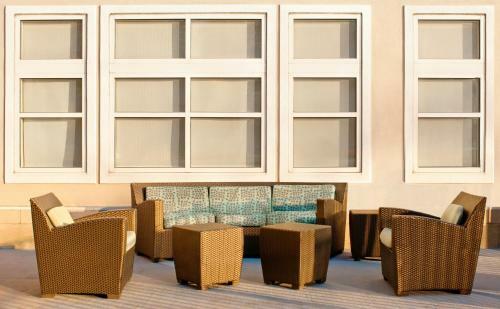 The six-story Best Western Plus has 83 rooms with a crisp modern decor. Free Internet, Restaurant, Non Smoking Rooms. The Kenilworth Inn has a small-town feel and offers free parking and free Wi-Fi in a location not far from New York City. A white fence and gazebo welcome guests to the low-rise Kenilworth Inn.Outdoor Pool, Free Breakfast, Restaurant, Non Smoking Rooms. With a free airport shuttle and amenity-filled accommodations the non-smoking Courtyard by Marriott Newark Elizabeth is a popular property among our guests that's conveniently located to Manhattan. Free Internet, Swimming Pool, Indoor Pool, Free Breakfast, Restaurant, Non Smoking Rooms. 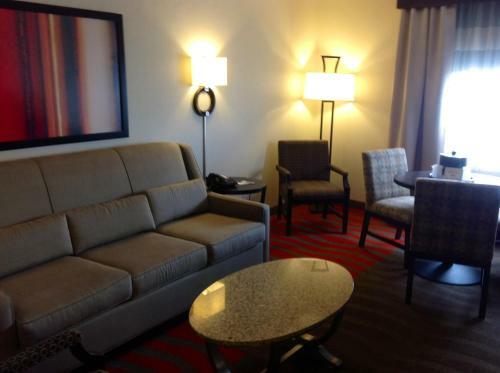 Featuring a shared lounge and free WiFi Mojoy Homesuites At Runyon is located in Newark 3.4 km from Prudential Center. The property is around 4 km from New Jersey Performing Arts Center and 2.5 km from Lincoln Park. The property is 3.1 km from Newark City Hall and 3. Free Internet, Non Smoking Rooms. 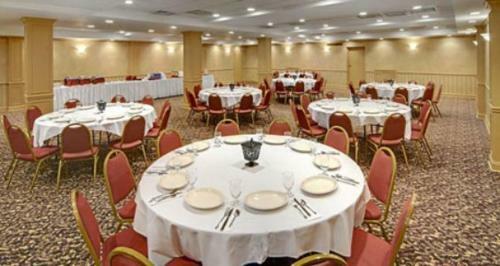 Free breakfast internet access evening socials and airport shuttle service are amenities that appeal to our guests at the non-smoking Residence Inn Newark Elizabeth Liberty Int'l Airport rated a top choice in the area with close proximity to Manhattan. Free Internet, Swimming Pool, Indoor Pool, Pets Allowed, Non Smoking Rooms. Currently as low as $57.00/night! Freebies at the Americas Best Value Inn include Wi-Fi deluxe continental breakfast and a airport shuttle service. This three-story hotel houses 78 rooms all with complimentary Wi-Fi and 42-inch LCD cable TVs. Non-smoking accommodations are available. Free Internet, Free Breakfast, Pets Allowed, Non Smoking Rooms. Our guests enjoy complimentary breakfast Wi-Fi and 24-hour airport shuttle service at the non-smoking Country Inn & Suites by Carlson Newark Airport NJ conveniently located less than 30 minutes from Manhattan. Free Internet, Swimming Pool, Indoor Pool, Non Smoking Rooms. Currently as low as $105.09/night! Currently as low as $64.65/night!